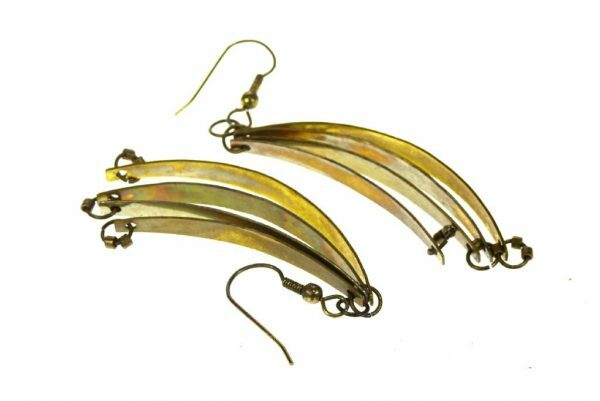 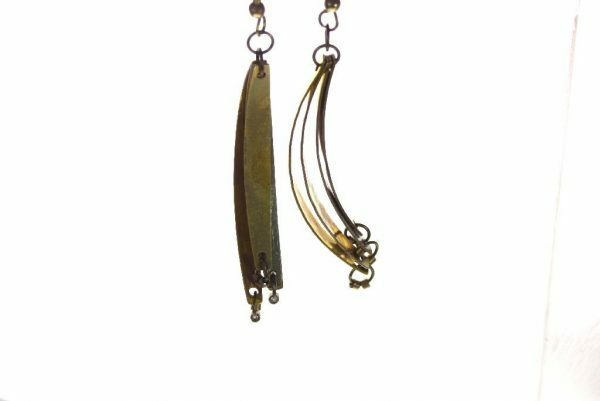 The Brass Dangles w/ Silver Rings Earrings have 4 formed brass arcs side by side with brass rings and golden seed beads on the bottom. Natural patina from the air give many hues of gold to the brass. 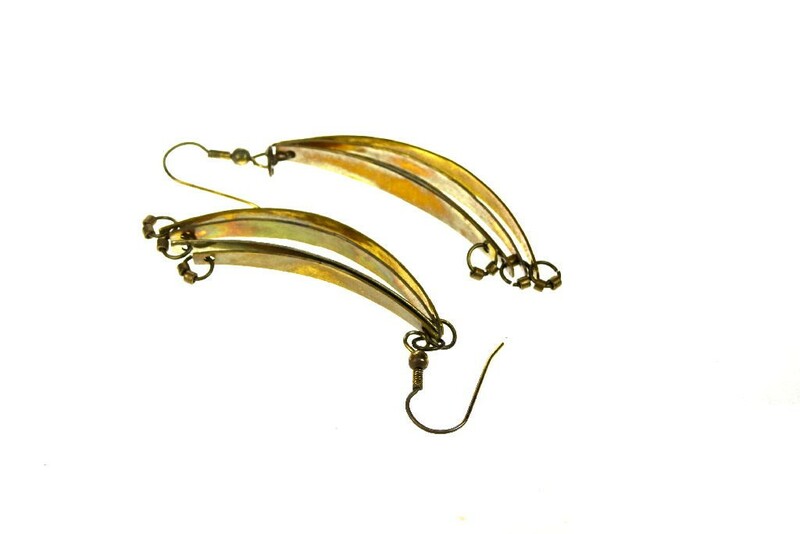 These earrings are 2.75 “(7 cm) long from the tip of the ear wire.